Unity and Struggle is a national anti-state communist collective. We envision a liberatory society in which people enjoy direct control and decision making power over the forces that shape our lives, and in which our collective wealth is shared freely to advance humanity. Such a revolutionary transformation requires the growth, and eventual coalescing, of existing independent movements to abolish racism, sexism, capitalism, and the state. We take part in this process by participating in local struggles to build working-class power, autonomy, and internationalism. Revolutionary organizations play an important role in preparing the working class to overthrow capitalism and transform the world. We connect militants across distant locations and differing issues. 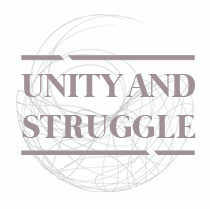 We build bridges between waves of struggle and preserve the rich historical lessons of movements past. We learn from struggles as we participate in them, and clarify the challenges and questions our class must confront on the path to a free society.